Putin's presidential advisor on economic issues, Andrey Illarionov, today resigned in protest against "the end of political freedom" in Russia, BBC reports. Illarionov has long been one of the few outspoken critics of Putin's policy within the Kremlin, and now fears abound that increased uniformity on views and isolation from society, will lead to further misjudgements by Putin. Illarionov has been one of the main architects of Russia's successful economic policy, but has recently become all the more of a vocal critic of how the tide has turned for economic policy-making. Illarionov's resignation comes as no surprise, as his favours in the Kremlin has drastically diminished over the past year. Earlier this year, Illarionov was deposed of his role as Russia's representative to the G8, well in advance of the country's long-sought 2006 presidency of the organisation. 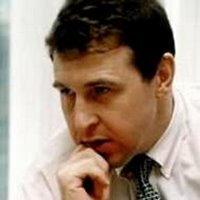 All the same, Illarionov's resignation is yet another setback for the Putin administration - a setback which is limited not only to the loss of Illarionov's economic expertise for the Russian government. Illarionov's declared reason for resigning - the lack of freedom in Russia - puts another nail in the coffin of Putin's democratic legitimacy. As BBC reports, Illarionov declared that: "It is one thing to work in a country that is partly free. It is another thing when the political system has changed, and the country has stopped being free and democratic". "Putin's mission is to fail"
"Putin's mission is to fail with authoritarian modernisation," Russian political analyst Lilia Shevtsova declared during a recent visit to Stockholm, Sweden. After nearly six years in power, Putin's dominance over Russian politics remains. Putin's road to power is still obscure, but his success as president seems undoubtable. Yeltsin's heritage has been disbanded. The previous system has given way for the policy of authoritarian modernisation - subordination, loyalty, and verticalism. Economic growth has been 25% since the 1998 August crisis and only this year amounts to some 5-6%. Only 19% of Russians are under the poverty line. Support for Putin is some 72-75% (permanently over 60%). Support is one thing - confidence another. Russians do not consider Putin a success. "Normality" is not enough. The lack of alternatives and higher hopes for the future slowly adds to growing discontent with the prevailing order, Shevtsova argued. Putin's dominance over politics is combined by the dominance of oil over economy. The backside of this is dependence on energy, which threatens to crowd out economic development within other sectors as well as drive inflation. Comparisons with Venezuela, Indonesia and the 1970's "Dutch disease" abound. Russia all the more appears as an "oil state". The difference is that it is an oil state with nuclear weapons, Shevtsova underlined. Putin's political dominance is also increasingly combined by economic dominance. The urge to get control over strategic resources continues after the Yukos scandal. The Kremlin now controls 99% ov gas and 56% of oil resources, according to Shevtsova. "Redistribution" of wealth still characterises Putin's policy. Will Putin run for a third presidential term? No, Shevtsova replied. Putin's interest in his presidency has gradually decreased and he spends all the more time on other activities. Russia's "first person" almost desperately seeks to avoid the daily presidential chores. "Who will succeed Putin?" Russia's next leader must be compatible with the political élite as well as the people, Shevtsova argued. This is the dilemma when the "power" will elect its presidential candidate. The 2007 parliamentary elections will be an eligibility test for those who nurture ambitions for the presidency - a "dress rehearsal" for the 2008 presidential elections. "Which are the alternatives? ", Shevtsova asked. Putin's successor must be sought on two levels: Obvious candidates and "dark horses". To the first level belong first vice Premier Dmitry Medvedev and defence minister Sergey Ivanov, whose suitability now is tested. If they or other known alternatives fail the test, a "candidate out of the box" may appear - as once Putin did. In the realm of foreign policy, a candidate should balance between "cockyness" towards and acceptance by the West. What happens now? The period of hesitation is over for the Putin administration, Shevtsova claimed. Despite who becomes the Kremlin 2008 presidential candidate, the power agenda is set by the so called "triad". Thus, the three overarching priorities are continued redistribution of wealth, keeping the status quo, and continued possession of power by peaceful succession. The three goals of the "triad" though entail obvious contradictions that, in the long run, may become incompatible, Shevtsova argued. Putin's policy of authoritarian modernisation seems, at first sight, to be a resounding success. Its inherent problem is, however, that it is obsolete in its modernisation of goals by traditional means. To create historical continuity may seem appealing, but returning to the past is also an existential challenge, Shevtsova claimed. When concepts such as "samoderzhava" (autocracy), "pravoslavie" (Orthodoxy), and "narodnost" (ethnos), are refurbished, the question is whether a system is created - in ideational and material terms - that may confront the challenges of modern society. How are you, for instance, going to deal with political pluralism, she asked. Seeking to control "open society" and the media like Putin, by creating imitating functions is hardly an answer, Shevtsova claimed. To manipulate public opinion is perhaps possible in the short run, but state-directed structures are not suited to channel discontent. Adding to this is also the task to create a robust economy, which development is not based on energy and raw material exports, Shevtsova underlined. According to Shevtsova, views of Russia and the policy of authoritarian modernisation are, traditionally, divided into two groupings: realists and idealists. The realists, dominating debate, claim that Russia deserves the state system it has and lacks the ability to change. The recipe of authoritarian modernisation - capitalism first and liberal democracy later - is thus well in line with the realist view. Only authoritarian rule may create a capitalist system forming the basis for liberal democratic development. The problem of realists, Shevtsova emphasised, is that reforms have come to a standstill: Authoritarian rule - yes; modernisation - no. Putin's policy is, as a matter of fact, going in the opposite direction, and its goal is rather power than modernisation. In addition to this, the lack of public debate and objective analysis on societal development limits the ability of power to meet political challenges and pursue an enlightened policy of modernisation. The idealists, to whom Shevtsova belong, claim that Russia is more ready for change than might be expected. They point at the growing gap between society and the political class. If Russians are ready for change and liberalisation, why do the liberals have such weak popular support? This is explained by the inability of liberals to play the political game and fundamentally to understand the realities of politics. "It's the politics, stupid! ", was Shevtsova's indignant comment. Whence the massive support for Putin? The answer is partly sought in the stability he offers, Shevtsova meant. Russians are desillusioned after experiencing the 1990s and consider Putin a better alternative than the system and insecurity that Yeltsin represented. The sort of liberal democracy people have experienced has lost its attraction and does not seem to offer any solutions. This view is strengthened by a weak liberal opposition without visions and agenda. A West in crisis and stagnation also supports Russian stablity, but has no will to influence the country. On the material level, oil incomes create macro-economic and some socio-economic stability. To summarise, factors that might topple the power balance in Russian politics appear to be lacking. In the eyes of the people, there are no alternatives to Putin, Shevtsova meant. Still, something seems to be "bubbling under the surface". People are ready to fathom new ideas and Russia is ready for change, Shevtsova claimed. Public opinion is only 25% traditionalist, nurturing dreams of great power and military force. Some 30% are reformers with liberal values. What remains - nearly half the population - are very volatile in opinion terms, Shevtsova said. A great part of this volatile opinion, however, leans towards westernisation, even if traditionalism has lately gained more support. When voters recently were asked about authoritarian traditionalism as opposed to liberal development with the individual at the centre, an overwhelming 68% favoured more freedom for the individual. This strong advocacy for individual rights appears stabile, Shevtsova said, and constitutes a worrisome element for Putin's policy. Above all, it demonstrates a growing gap between a traditionalist political élite and a society that, regardless of everything, supports liberal values. The strong support for Putin may thereby quickly turn if confronted by a conflict between politics and society, Shevtsova emphasised. In this context, it is important to differ between support and trust for Putin. Few people, as a matter of fact, regard Putin a successful leader. Support for Putin must be sought partly in the stability he offers, partly in the lack of alternatives. Russians may therefore turn their backs on "Putin" if a realstic alternative enters the political stage, Shevtsova claimed. That Putin appears to be leaving the stage in 2008, further accentuates the dangers for the further possession of power by the élite. At the same time as the nomenklatura is seeking to consolidate its positions, a number of factors that could topple its positions arise. Reviewing such factors, Shevtsova pointed to individual ambitions and egotistic interests as well as surfacing contradictions and conflicts within the élite. In addition to this, she emphasised issues that either have been put off the political agenda or unexpected developments - the so called "wild cards". To the former, Shevtsova counted Chechnya and Northern Caucasus, corruption, and the military and bureaucratic reforms. Among the "wilds cards" are unpredictable events, which could emanate from structural factors inherent in the unsustainability of post-soviet society, Shevtsova argued. As Russia's growing middle-class and the so called dotcom generation is confronted by an economically destabilising fall of the oil price or some other serious crisis, the question is when they will unite in the pursuit of their common interests in lack of other structures through which they might channel their discontent and desires. The recurrent failures of the political élite make us assume that Russia once more is closing a moment of truth, Shevtsova emphasised. We know the laws that rule the tides of change: the law of unintended consequences and the law of failure. Unintended consequences are legio in Russian history and its contents were well characterised by Chernomyrdin: "We wanted something better, but got the same". Russia experienced this in the 1998 financial crisis, the recent débacle in the Ukraine, or the failure of the social reform earlier this year. Results of policy become other than intended, Shevtsova summarised. The law of failure is, if possible, even worse for Putin and the political élite. Authoritarian modernisation lacks goals and visions and is therefore destined to take Russia into a dead end. The question is when the end will come, Shevtsova wondered. Possibly, when people no longer accept that the country is run without real democracy, agenda or direction - when politics have failed. Failure is what eventually will end the rule of Putin and the political élite and lead to a change in Russia. Putin's historical mission is to fail, Shevtsova concluded. President Putin yesterday paid a surprise visit to Chechen capital Grozny, BBC reports. The purpose was to attend the opening of the newly elected Chechen parliament. Putin spent a full forty minutes in Grozny, before helicoptering out of the Chechen capital. Of course, this is yet another propaganda-ploy by the presidential administration, trying to signal a normalisation of conditions in Chechnya. That the war-ridden republic is far from any situation that could be characterised as normal, is a completely different story compared to what the Russian government argues. Instead, since the conflict began back in 1994, it has gained dynamics of its own, propelling it deeper and deeper into a conundrum of hopelessness and desperation for Chechens and Russians alike. By the actions of Russian army and interior troops as well as Chechen groups, the war has reached a permanent state of criminalisation, which will perpetuate it as long as no real steps are taken for creating a dialogue for peace and stabilisation. That responsibility has increasingly been transferred to the Chechens themselves, has internalised the conflict to a certain degree. Moscow now, instead of active involvement, tries to fight a war by proxy. As e.g. the Beslan tragedy shows, the policy of internalisation appears to be failing, as the Chechen conflict threatens to engulf the entire northern Caucasus into a state of permanent insecurity. Since Russia resumed the war in 1999, the Putin administration has consistently avoided any attempts at dialogue, and potential counterparts to peace talks have been eliminated by Russian special agencies. Russian vows to combat criminality - regardless of who the perpetrators are - have so far had little or symbolic results. Still, as RFE/RL reported a few weeks ago, some "feelers" for dialogue have recently been made, e.g. 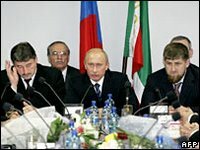 suggestions that Chechen pro-Russian president Alkhanov might be willing to meet representatives of the Chechen diaspora abroad. Such a dialogue would, however, exempt any exile groups even remotely involved in the conflict, why it must must be considered merely "gesture without motion." Also, what weight Alkhanov's words carry is unclear, as he merely seems a puppet on a chain for Chechnya's real leader - 29 year old Premier, Ramzan Kadyrov. As for the 27 November parliamentary elections in Chechnya, there is little doubt that the outcome was pre-arranged to ensure a victory for the pro-Kremlin United Russia party, supporting president Alkhanov. That the Communists came in second, was also no great surprise, as it follows the general setup for the 2007 Russian parliamentary elections. Besides United Russia and the Communists, the liberal Union of Rightist Forces (SPS) gained four seats in the parliament. What relation results have to genuine popular sentiments is unknown, and would, indeed, be of much greater interest than the Kremlin-ministered results. That both the OSCE and the Council of Europe, even beforehand, declared that the elections would be neither free nor fair, hardly needs mentioning. Finally, as for Putin's surprise visit to Grozny, one might ask what he learnt by it. Indeed, one of the main problems of the Chechen conflict, seems to be that the Russian leadership has no real insight in it. It is obvious that Putin repeatedly has been deceived or misinformed on the situation, creating a basis for misjudgement and errors. However, this seems of little interest for the Kremlin. The policy towards Chechnya is set and the Russian president has no intention to alter it. Responsibility for the continuation of the conflict falls heavily on Putin. The gravity of misperceptions may be illustrated by a recent visit of a government minister to Grozny. Standing on a main street in the city, he asks why it is a dirt road and why it hasn't been asphalted. Having for years channeled funds for the reconstruction of Chechnya, the minister could simply not grasp that so little had been done, and that money apparently had ended up in someone else's pockets instead. Alluding to a well-known song, the minister might as well have asked: "Where has all the money gone - long time passing?" Of course, the answer is obvious: "When will they ever learn?" A litmus test turned sour? 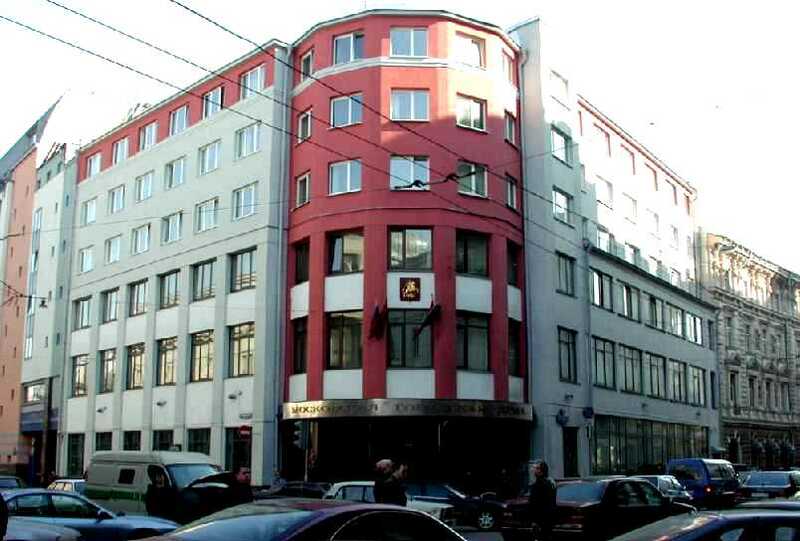 On December 4, elections were held for the Moscow Duma. They were seen as a rehearsal for the 2007 parliamentary and the 2008 presidential elections. As for the liberal opposition, these elections were envisaged as "a litmus test" for the prospects of a democratic breakthrough in Russia. Seeing the results, one may ask whether this was a litmus test turned sour for liberalisation prospects in Russia. What has become glaringly obvious during the election campaign is the control that incumbent mayor Yuri Luzhkov, by administrative and other means, has exercised to obtain the desired outcome by an overall victory of the "power party" United Russia. United Russia's main opponent was, originally, the populist enfant terrible of Russian politics - the nationalist Rodina party. In the uprun to elections, Rodina played on racist sentiments among the Muscovites, namely popular fears of "strangers" - Caucasians, posing a threat to public safety. Such fears were confirmed by opinion polls, soon to be followed by Rodina TV-campaign-ads, portraying such strangers as "garbage". All moral judgement set aside, the administration used the campaign as a pretext for banning Rodina from the elections. In its place, the Communist party stepped in to fight for the "nationalist" populace. Preliminary results of the Duma elections show that United Russia received some 47% of the votes, the Communists 17% and the liberal Yabloko party about 11%. By banning Rodina, the victory for United Russia was ensured with the foreseen side-effect that the more manageable Communists were strengthened. As for the liberal Yabloko party, the elections can only be characterised as a resounding failure in comparison to its high-pitched expectations. Why so? A first reason is that Yabloko put so much hope on the elections as a turning-point for what they deem is Putin's failed policy of authoritarian modernisation. This, however, appeared to be beyond the point, as national politics were of little concern for Muscovites, who instead turned to local concerns. Another reason is that liberals grossly exaggerated voter turnout. An estimated staggering turnout of some 60% in the end resulted in only 33% going to the ballot-boxes. This was, by all means, a fair turnout by Russian standards and an improvement compared to the 2001 local elections. Whatever made liberals think that things were to change this time, one can only speculate upon. All in all, it was yet another Yabloko misjudgement. Finally, it is obvious that liberals underestimated the determination of people in power to use all means necessary to obtain desired results. As with anywhere in current Russia, free and fair elections are but a mirage, and one might have thought that Russian liberals by now had learnt this lesson. Instead, Yabloko's Sergei Mitrokhin was outraged by blatant breaches of electoral legislation, and steps were taken to contest the results. But, what's new? And besides, who should the liberals appeal to? There is no greater justice or public conscience of "fairness" in today's Russia, so what's the point of hollering "it's not fair"? What else to reply but: "-It's the politics, stupid!" The Moscow elections are, by all means, a failure for the prospects of a liberal turnaround in Russia. For the liberals, it is once more clear that they have let the basics of Russian politics turn sour on them - litmus-test or no litmus-test. However, one might ask what alternative liberals in Russia are left with but struggling for a few seats in managed elections. Perhaps, it is becoming painstakingly clear, that change in Russia will not come about by balloting but by similar "revolutionary" events as we have seen in Georgia and Ukraine during recent years. The question is whether popular sentiments will ever reach the boiling-point as long as the current stability and relative economic progress is maintained. Would current developments turn negative and such revolutionary change come about, one may also ask what role Russian liberals might be able to play. Last but not least, one must speculate on how long the Kremlin will allow Moscow mayor Yuri Luzhkov to retain his relative independence in Russian politics. When will we see an infight between Luzhkov and Putin's entourage? This may, indeed, be a much more interesting question than more or less staged elections to the Moscow Duma. Such conflicts in the ruling élite would pose a much greater danger to a peaceful and managed succession of power among the élite in the 2007 and 2008 elections. However, what is obvious, is that Russia's liberals today seem unable to exploit such differences, and instead put their hopes on factors beyond their control. As long as this is the case, all attempts at liberaling Russia will, most likely, turn sour. Welcome to Vilhelm Konnander's blog! By now long overdue, I welcome you to my personal weblog. Here you will find comments on current events, primarily concerning security and Russia and Eastern Europe. As an expert on these issues, I hope that you will find my views on these and other topics interesting. With no greater ambitions than to raise my current thoughts and reflections, I welcome any comments or critique. I may well change my mind on some issue in view of better ideas. After all, isn't that what it's all about - an open exchange of thoughts?